Some supporters of Central Maine Power’s billion dollar transmission project are looking to Canada’s Hydro-Quebec to shore up prospects for a key permit in Maine. They want the Canadian utility to contribute cash to benefit Maine electricity consumers. Gov. Paul LePage’s administration may be pushing Hydro-Quebec on the point, although details of the effort are murky. 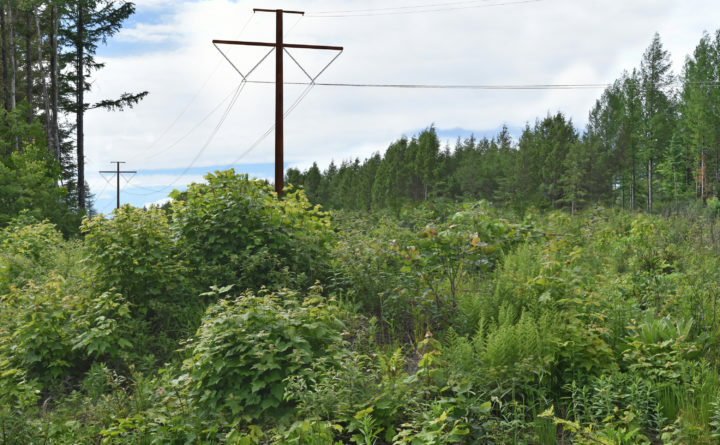 The 145-mile, high-voltage transmission line would bring electricity produced by Canada’s vast dam systems through western Maine to serve Massachusetts customers. The project needs several permits from Maine regulators, including a Certificate of Public Convenience and Necessity from the Maine Public Utilities Commission. In a commission case conference this week, a question was raised about whether Hydro-Quebec would — or should — put some money on the table to benefit Maine ratepayers. “To the extent the Commission indicates an interest in the benefits that Hydro-Quebec receives, that greatly increases the probability that Maine will share in some of those benefits,” attorney Tony Buxton said. Buxton represents the Industrial Energy Consumers group, or IECG, a consortium of large-scale energy users, such as paper mills. IECG and CMP are often antagonists, as they contend over the high-cost of electricity delivery in Maine. But CMP won IECG’s early support for the proposed transmission project by making sure that related contracts would bar Maine residents and businesses from ever being on the hook for even a portion of its construction costs. Buxton said his clients would benefit from the injection of a big slug of hydro-power into the regional mix because it would stabilize energy prices that can swing wildly, depending on natural gas supplies. He said a new incentive from Hydro-Quebec could convince regulators the project will substantially benefit all Maine ratepayers. And Hydro-Quebec, he adds, will have the means. To get a favor from its neighbor, Buxton argues, Hydro-Quebec needs to be kind in return. Barry Hobbins is the state’s Public Advocate, and his job is to protect Maine consumers in utility cases. “I was taken aback by the figure,” Hobbins said. He’s been focused on getting CMP to ante up $50 million to help low-income Mainers make energy efficiency investments — same as CMP has promised Massachusetts — but so far he and CMP have not come to terms. Now, Hobbins said, the new calculation of Hydro-Quebec’s potential $200 million annual profit from the project has his attention. “What I think that demonstrates is that this is a potential benefit that possibly the state of Maine should look at as part of a community benefit, part of the overall statute involving projects such as this,” Hobbins said. It seems that Gov. LePage, who was an early supporter of the project, is now looking for its principals to do more for Maine as well. Two weeks ago, in a trip to Spain, he visited with officials at CMP’s parent company, Avangrid, where, according to his office, he discussed “ways to lower energy costs for Maine ratepayers.” And now there is evidence that his administration is in talks with Canada’s Hydro Quebec. IECG attorney Tony Buxton isn’t naming names but “How do I say this? There are public officials, involved directly or indirectly, in negotiations with Hydro-Quebec,” he said. In an email, CMP spokesperson John Carroll said the company was aware of discussions between Hydro-Quebec and the LePage administration, although he was not a party to them. And Carroll said that while CMP believes the project already promises broad benefits for Maine, Hydro-Quebec might have an opportunity to make it even better. “Any additional benefits from any party would obviously be good for Maine and a favorable development in the discussion that are going on now,” Carroll said. LePage’s chief energy adviser and his press spokesperson have not responded to repeated requests for comment.